Today is the birthday of my little girl. Hard to believe that she is now a trauma nurse, a wife, and a mother. My how time does fly. I can still close my eyes and see this little girl with the little doll on her hip asking me if I could play for a little while. Happy Birthday Angie. Friday before the big fire story I stopped by the “Duck Pond” to take some images to show you how much the water level had dropped. Lots of new babies right now and of course with the lower water levels their nests are no longer as protected as when the pond is full of water. Where these geese are walking is normally under about two feet of water. I know that it is Nature’s way but I don’t have to like it. 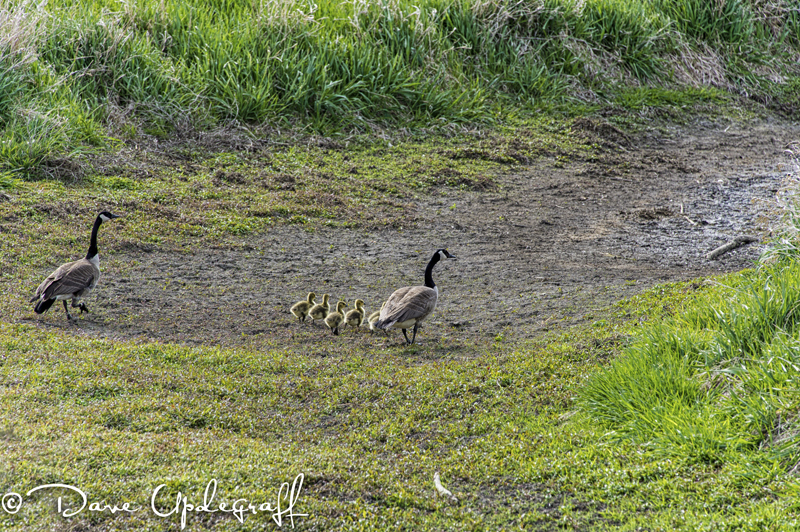 There is still a large population of Geese at the pond and most of them are nesting. 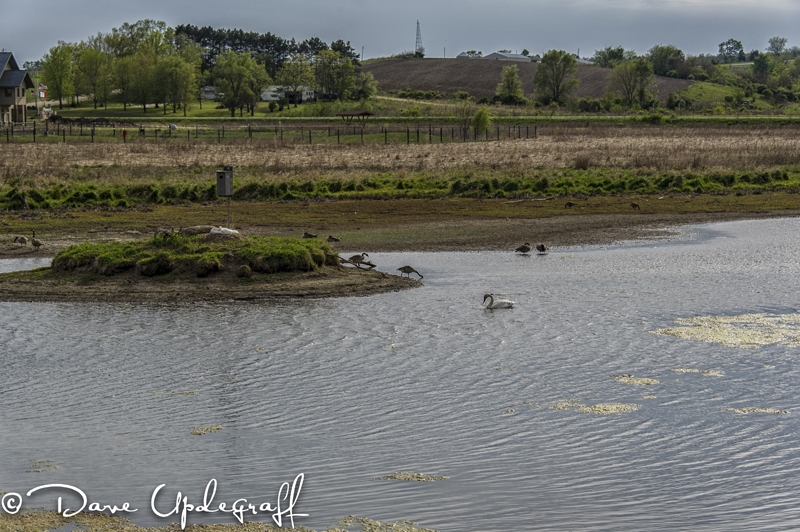 The resident pair of swans are nesting as as well, however they have not produced an off spring in the time they have been coming to the pond. Not sure why. I had another vegetative weekend. I did get some things done Saturday morning and then Angie and Josh stopped by for a visit. After that it was pretty much down hill. Sunday was a wash out as well so another weekend bites the dust. Hope you enjoyed your weekend. Thanks for stopping by and be careful. 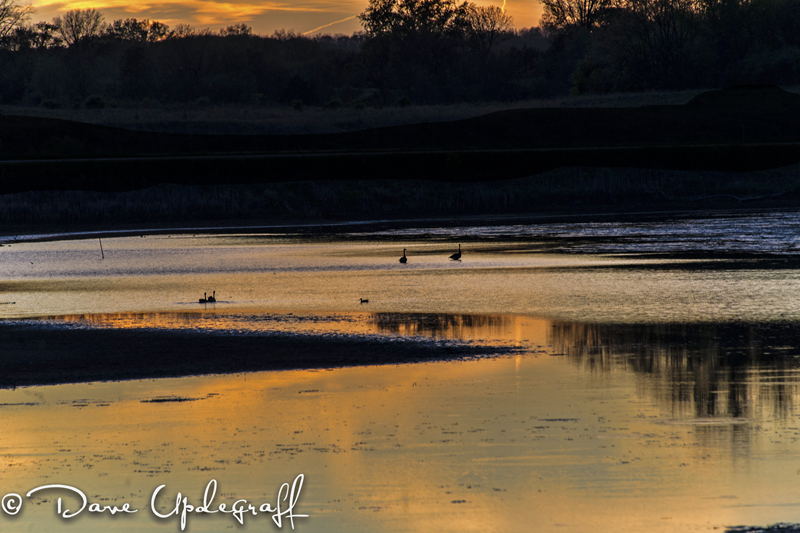 Yesterday evening on the way home I stopped by the Duck Pond to photograph the deteriorating condition of the water level. I was there for about 30 minutes and then headed home. As I approached Otter Creek Junction I started noticing dark smoke on the horizon. So when I got to the Otter Creek Junction I decided that I would follow the smoke. I have done this in the past and it usually turns out to be a grass fire or someone burning garbage. Today was different. 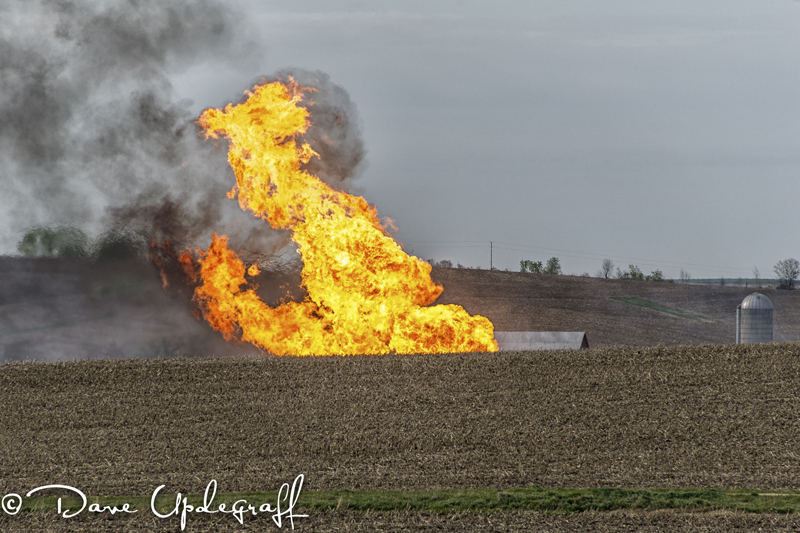 As I got closer to the fire I could see from time to time a large fireball rising into the sky. I couldn’t see what was burning just that it was a large and sustained fire. There were people pulled off to the side of the pavement taking pictures with their cell phones and cameras but I wanted to get closer. 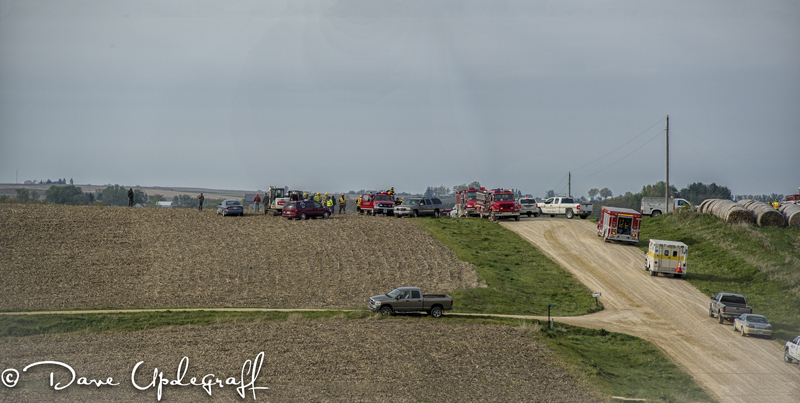 I finally arrived at the gravel road that looked like it would take me to the fire and darn there was a Iowa State Trooper blocking the road. At the same time the Jackson County Sheriff pulled up. 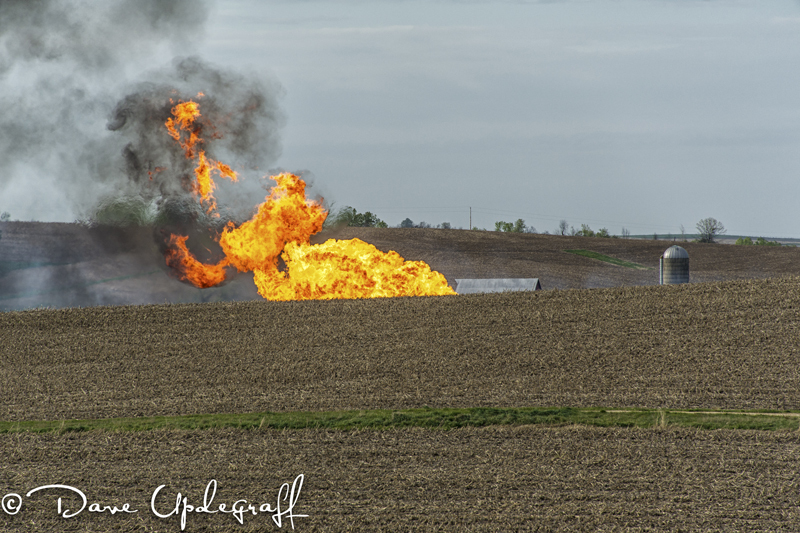 I asked them if I could go take some pictures and the Sheriff escorted me to a farm still some distance from the action but close enough to get a feel for the fire. I didn’t get a chance to talk with the Sheriff so I do not know if anyone was hurt. Apparently they were digging (I assume doing some tiling) and one of the machines hit the gas line and ruptured it. I hung around for about 30 minutes but realized I wasn’t going to be able to get closer or wait until the situation was resolved so I left. Tomorrow I’ll have images of the Duck Pond. Enjoy your Saturday. It is going to be an excellent day for a nap. 🙂 Thanks for stopping by and be careful. Yesterday I spent the day in Cedar Rapids conducting employee training. I did “Lunch and Learn” training during the day and then an all hands training that ended about 7:00 pm. so it was a long day by the time I finally got home. 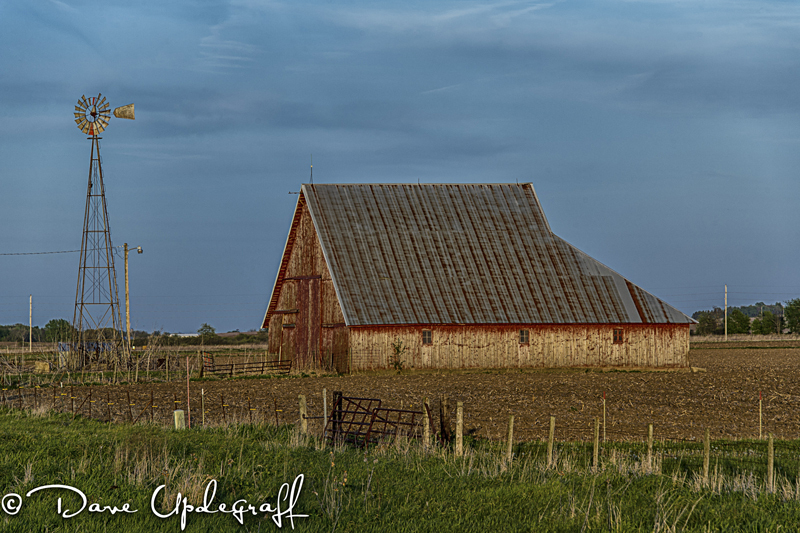 I’ve gone by this barn many times since I started going to CR but last evening coming home with the setting sun shinning on the building I liked the way it looked so stopped and captured this image. 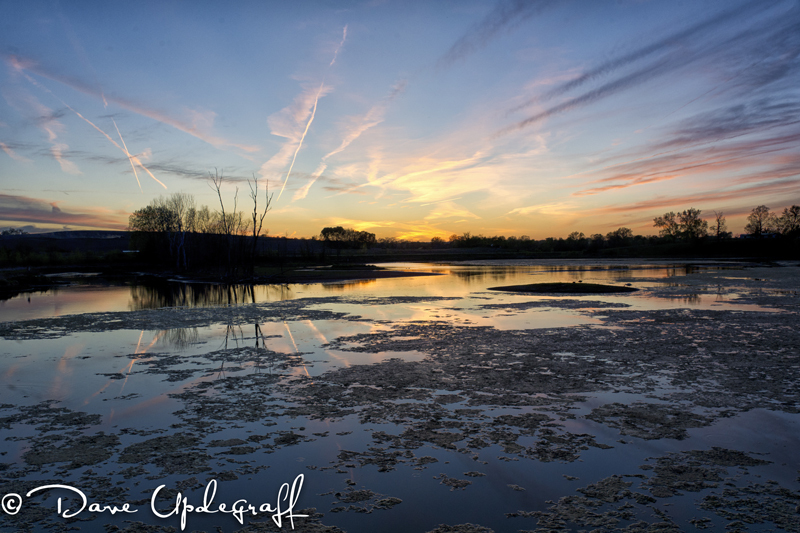 My hope was to get back, pick up my car and get out to the “Duck Pond” before it got to dark to photograph. I didn’t really make it in time to do anything other than capture a really pretty sky. There are a series of small islands around the pond and it is on these islands the geese lay their eggs and raise their young. Normally they are relatively safe from predators because of the water surrounding the islands. Now, however, most of the islands are exposed and can be accessed because the water level has gone down so much. I understand this is the way of Nature but I don’t have to like it. I enjoy coming to this place a lot and watching the geese, ducks, and swans swimming and feeding. The pond is really ugly right now because there is so much muddy ground showing and all the plant life that was normally under water is now on the surface. That’s it for today. Enjoy your Friday and as always I am grateful for your visit to my little blog. Be careful. Short post today, late night last night. Jeanne and I had dinner with our dear friend Dave and his friend Lois. We ate at Vinny Vanuchi’s on Main Street Dubuque. It is a relatively new restaurant in Dubuque but has been in Galena for several years. The atmosphere is very nice old vintage building well decorated. The wine was good and the food was as well. The problem was with the server. Young lady who did not have her head in the game. Mixed up the orders and brought the wrong food for me and Dave. I finally got my meal after everyone had already eaten. She offered to give me the meal free but as Jeanne reminded me that would come out of her own pocket and I thought that lesson was a bit harsh. So I paid for the meal and left her a small tip and told her that the reason for the small tip was her lack of attention paid to the task at hand. I saw it as a teachable moment but who knows. Anyway that aside it was a wonderful meal and great conversation. Dave is a great friend and fun to be with. 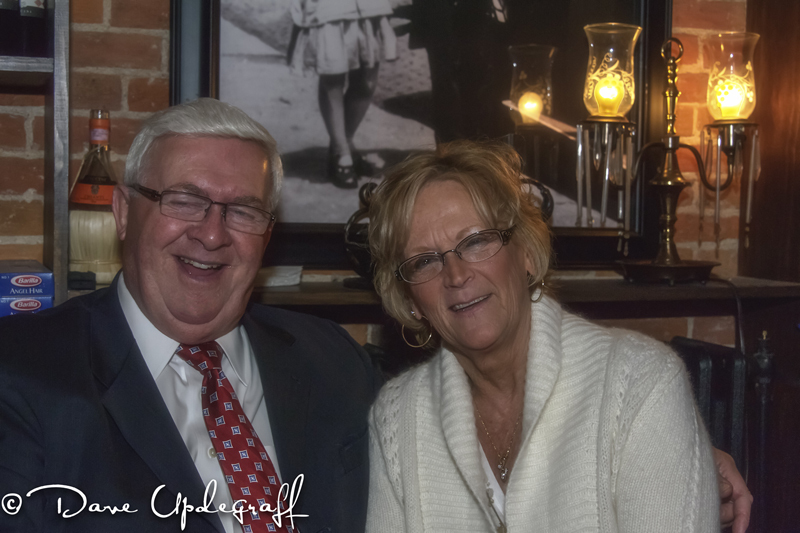 Lois spent 37 years working in the medical field and she and Dave make a great couple. Thanks for stopping by. Enjoy your mid-week day and be careful. I had without a doubt the most unproductive weekend in recent memory. For what ever reason I did not leave the house on Sunday and it was a beautiful day. 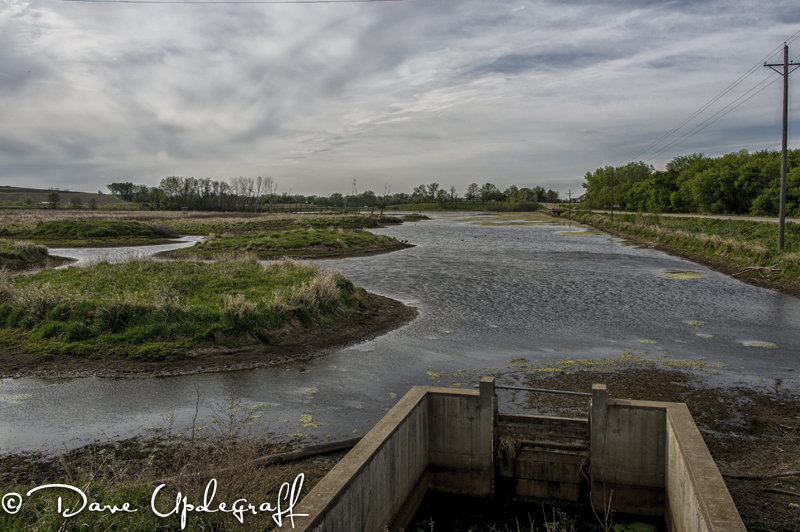 Above shot was taken at the Maquoketa Dam on Friday. 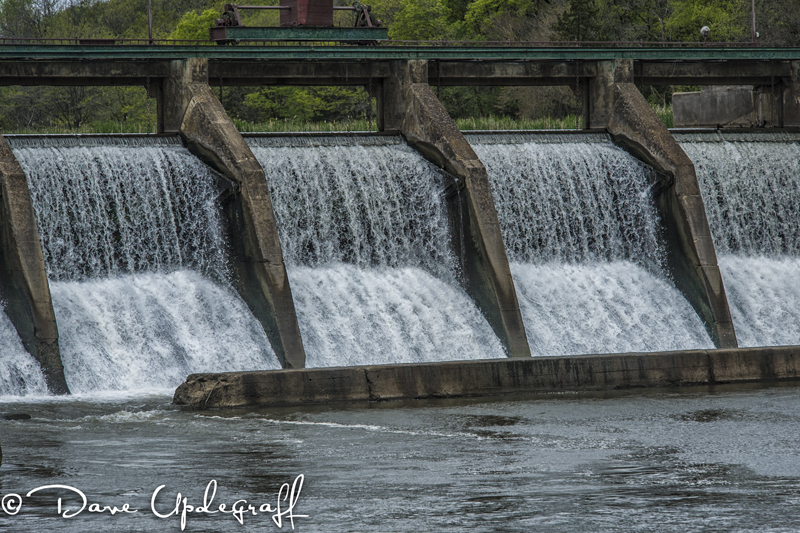 In fact all the shots on this post were taken at the dam. 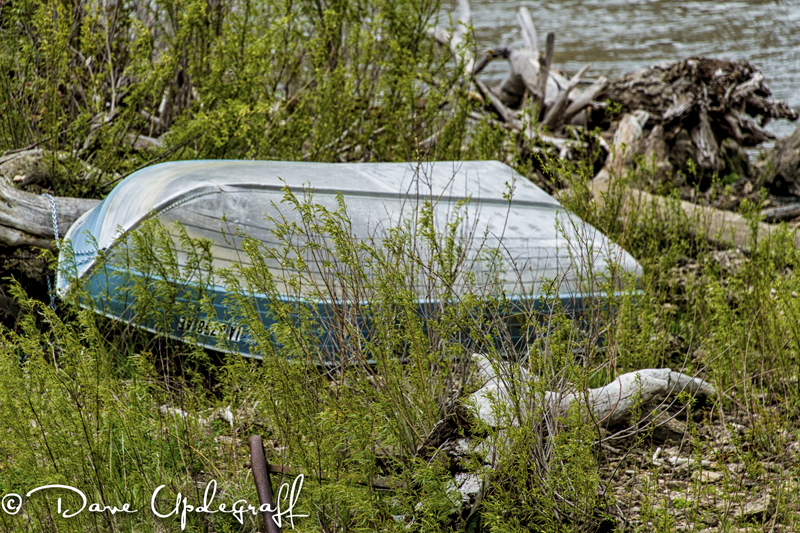 This old fishing boat is taken out on the water from time to time and I have posted shots before of people fishing from it. I don’t know if it is a “community” boat or if it belongs to an individual. I thought about processing this image in black and white. I may have done so if it were on its own but when I decided to post the dam shoot with everything else in color I opted for color in this image as well. 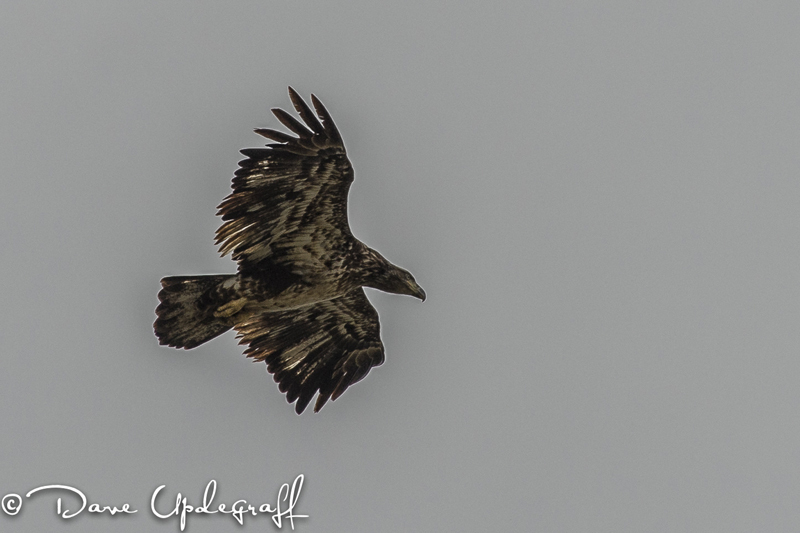 Finally this juvenile Eagle. I told you about a large bird that was circling the dam and I thought it was a Turkey Vulture until I processed the image. I had to crop the image pretty good because I took it with a 300 mm lens and he was pretty far up. Anyway you get the idea he is an Eagle and it was fun seeing where he hunts. Maybe I can get a better image of him later. Pretty lame post today. Hope you enjoy your Monday. Thanks for stopping by and be careful. Friday, after grabbing a quick sandwich I headed out to look for something to shoot. 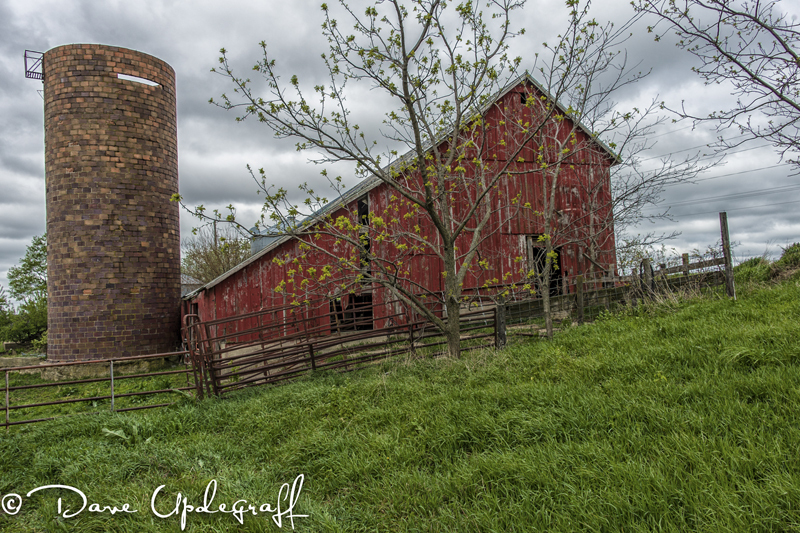 It was cloudy, gray, damp, and windy but undeterred I looked for images. 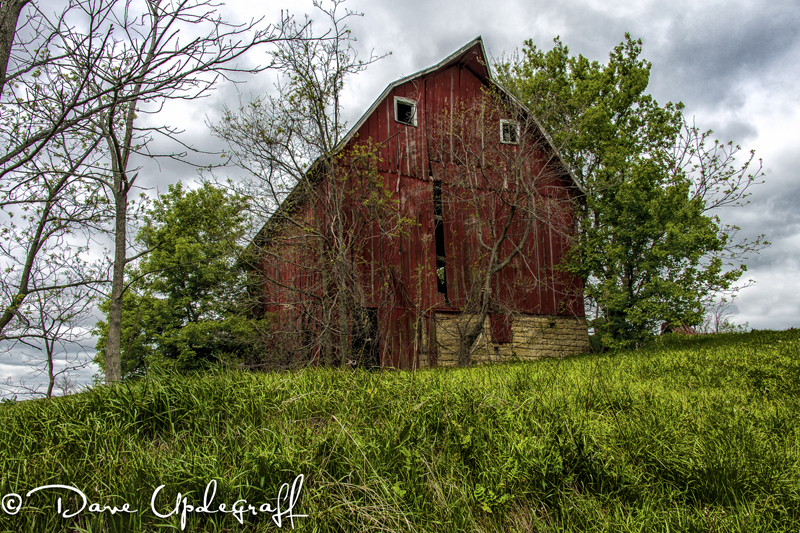 About 3 miles out-of-town I came across this (seemingly) abandoned barn. Every watchful for snakes (by the way many of my friends have assured me there are no dangerous snakes around here.) I waded through mid-calf high grass to get these shots for you. As you can see the terrain was uneven and there were several deep depressions camouflaged by the grass. As I was finishing up this image it started to rain. I was some distance from the car so although I didn’t run (see above) I did hasten my pace. Safely ensconced in my car I waited for the rain to stop but as I was running out of time I decided to head back to town. 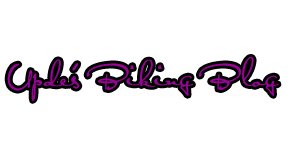 Enjoy your Sunday and thank you for checking out the blog. Hope you have a good day and be careful. I hope you are enjoying your Saturday. There are only 52 of them a year and they are all precious each and everyone. Yesterday I grabbed a quick sandwich and headed out to see if I could find something to shoot. It was cloudy, gray, cold, and damp and I found some things to shoot. That is for another day. However when I left work yesterday evening the sky was just gorgeous with big puffy white and gray clouds floating in a brilliant blue sky. The sun was cutting through some of the clouds and making shafts of light through the clouds. I knew I had to find something that I could frame that sky in. I think I got very lucky with this image. 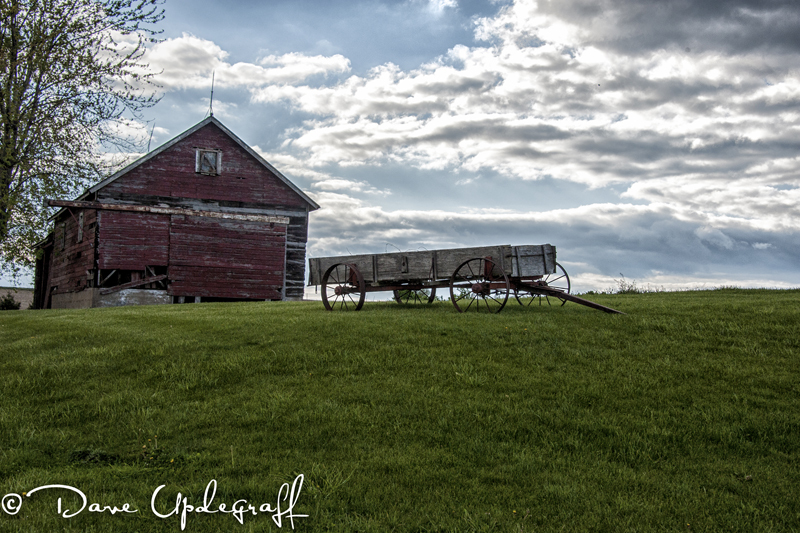 I was shooting a windmill and didn’t even see the wagon as it was over the hill. I was trying to get a better angle on the windmill when I found the wagon. I really like this image. 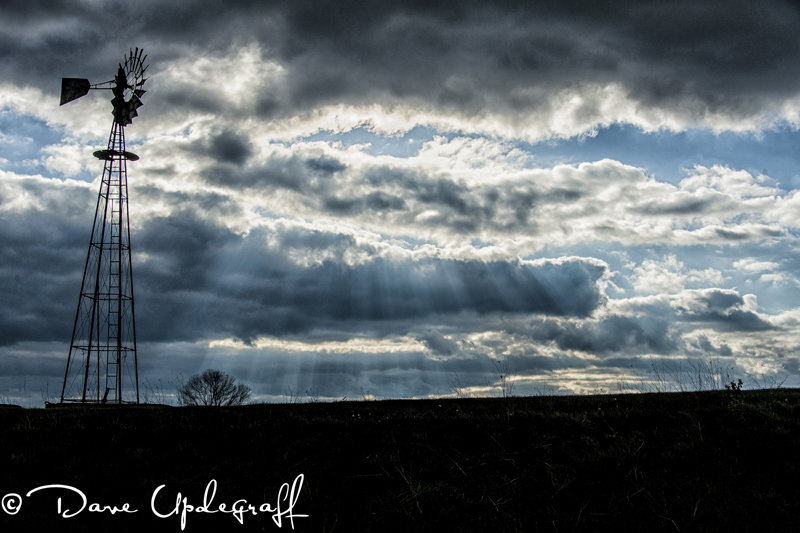 this is the windmill I was photographing when I discovered the wagon. 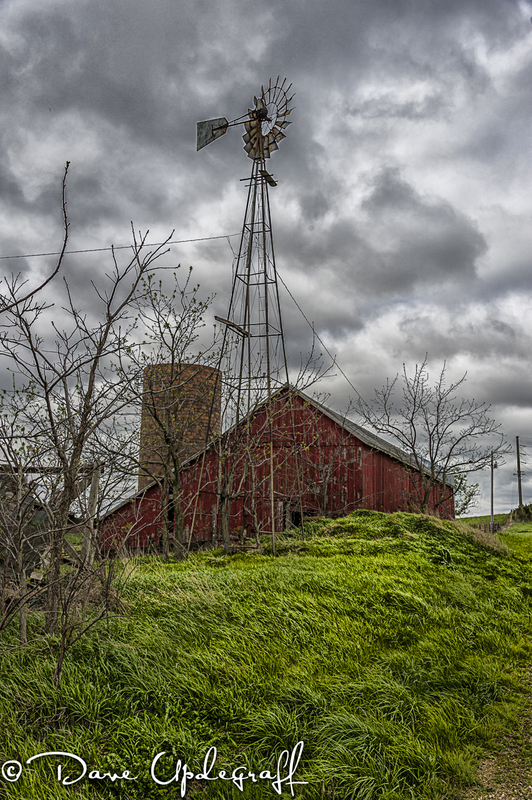 I have taken images of this windmill several other times when the sky was unusual or at sunset. I think this is one of my favorites. By the way this windmill is also the windmill that is on my header panel of this blog. That was a beautiful sky as well. 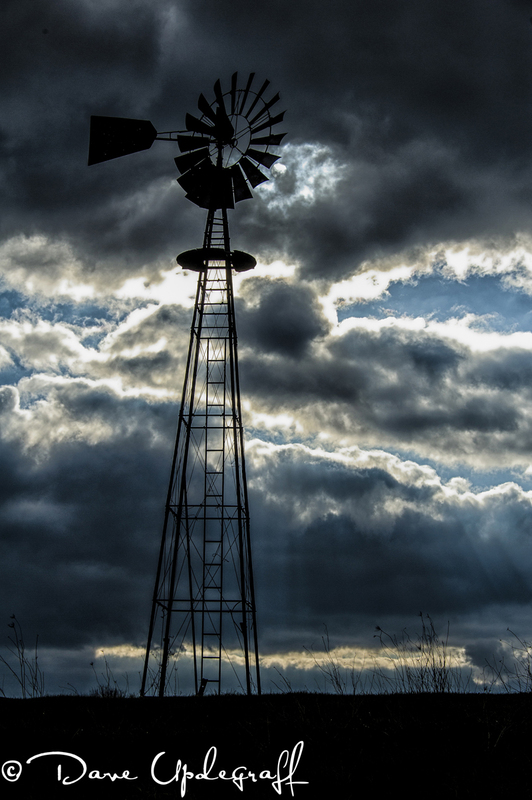 I’ll leave you with this close up of the windmill and the dynamic sky and clouds. I have several more images from the shoot yesterday at noon so I’ll be posting them either Sunday or Monday. I captured an interesting shot yesterday at noon. I was shooting some water and this large bird kept flying over the area. I could not make out what type of bird it was but it looked like a Turkey Vulture and I wasn’t really interested in photographing one of them again. Besides I didn’t have my long lens, just my 28-300 mm. 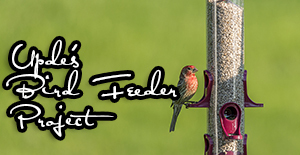 Enjoy your Saturday and thank you for taking the time to stop by the blog. Be careful.